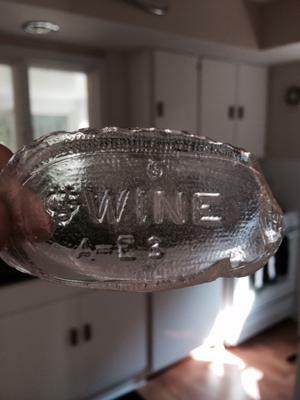 Although the actual piece of glass is not greatly weathered, we are thinking it is an older piece due to it being labeled "WINE." We haven't seen a bottle shaped like this, oval, for wine. The piece is approximately 2.5 inches by 1.5 inches. Any help or info is so appreciated as me and my children are new to this hobby! 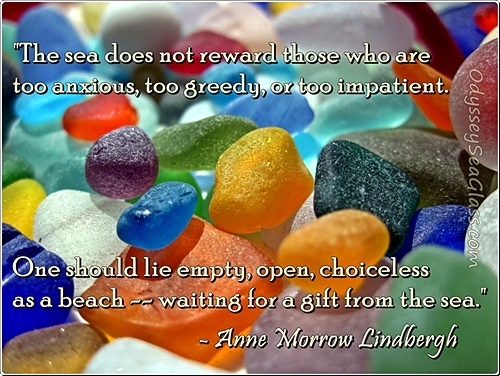 Sea Glass Poster "Waiting for a Gift from the Sea"
How interesting! 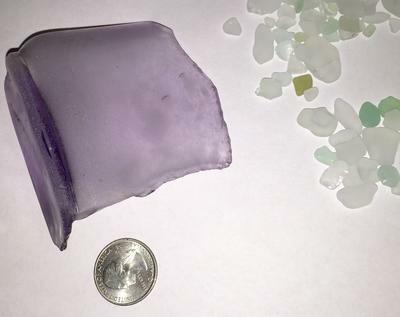 If you have any suggestions for additional beaches in that area to find beach glass please let me know. I found the same exact piece as yours on a beach near Beverly Shores, IN this past weekend. Mine is weathered more than yours, but it has the same oval shape. 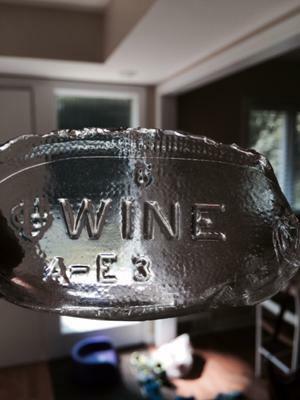 It is the bottom of a pretty old oval wine bottle. I am trying to date this, can you help?